Liam and Suz have both completed the 200hr Peak Physique Hot Yoga teacher training. 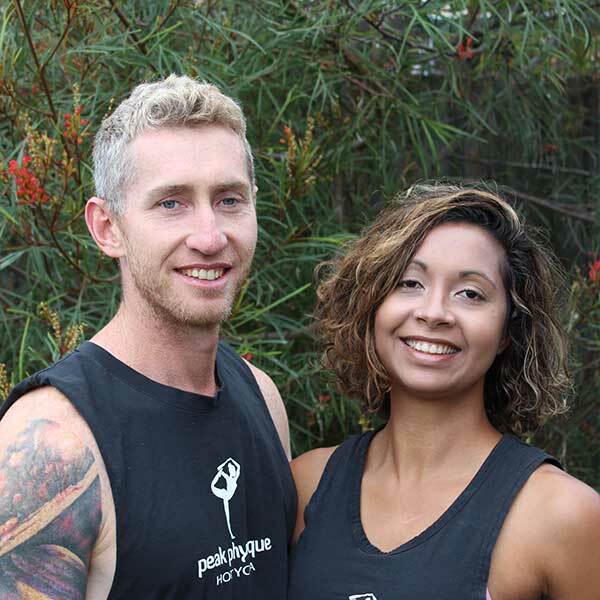 After attending Peak Physique classes as students they not only fell in love with the yoga on offer but also the PPHY community. They are passionate about spreading the message of mind-body awareness to a diverse range of people. Liam really enjoys exercising at the gym as well as doing calisthenics. He’s also currently studying to be a personal trainer. Suzanne has a background in dancing and has a CSTD Tap Teaching certification. Suzanne first started yoga as a child to complement her ballet practice and improve her flexibility. She did yoga on and off growing up but always came back to yoga when seeking mental clarity. She has been a student of various yoga practices but started hot yoga in 2012. It was then that she found the combination of yoga and heat enticing as it increased her mobility as well as calmed her mind. Liam has been fit and athletic since a young age and in his early twenties began gym training and later was attracted to calisthenics where he found that to improve in calisthenics he had to gain better flexibility and mental focus. After starting yoga he noticed his calisthenic training had enhanced so began to add yoga into his fitness regime. Having practised self awareness for a few years, they both realised that coming back to basics and being in touch with mind and body is an important factor of life, especially when seeking work/life balance. They are both strong believers that yoga is for everyBODY and that you don’t need to be super flexible or strong to gain the benefits from your yoga practice. Yoga assists to connect the body and mind by bringing your mind into a meditative state as you focus on your asanas. They enjoy seeing students change and develop as they travel along their yogic journey through consistent yoga practice. Liam and Suz consistently aim to be the best versions of themselves. They do this through consistent meditation, yoga practice, healthier eating choices, fitness and self awareness. Being part of the Peak Physique Hot Yoga family is something they are proud of and being a Peak Physique franchise owner means better work/life balance and also provides constant opportunities for self development, which is something they are both passionate about.